Anarchy, a league that has grown leaps and bounds throughout its brief history in the realm. 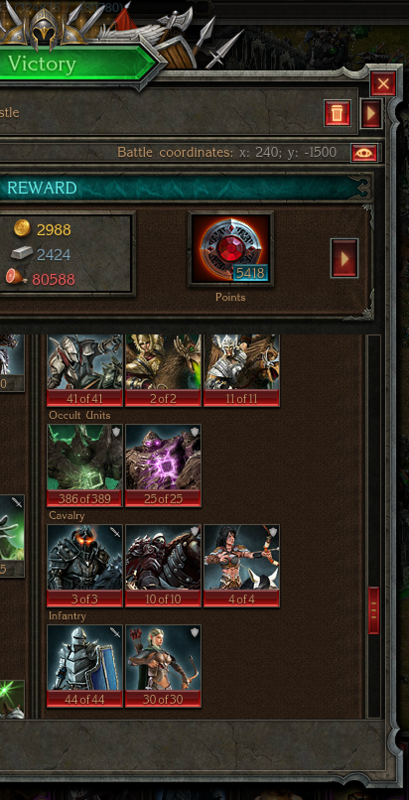 Known as one of the fastest-growing new leagues, is no stranger to conflict. The league consists of many battle-hardened veterans from the Beacon Wars and previous conflicts that are well known across the realm. Once again, this league is entering into such a conflict. Anarchy has openly declared war on the Lord King league. The two leagues have found themselves at odds and have reached the point where a resolution can only be met from steel crossing steel and blood being forcefully drawn from their opposition. 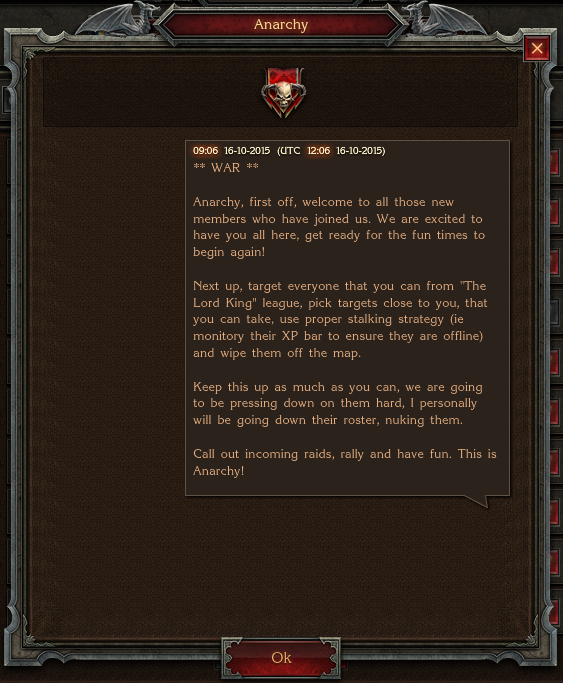 A Captain from Anarchy gathered the troops and made the following announcement before personally riding forth into battle. The call of war was issued forth and the troops drew their blades, shouting to the skies. Promptly and efficiently they rode out of the gates, picking their targets of choice and slaying any and all of the Lord King forces that dared face them. One such victim was the Marshal of Lord King himself, who saw his castle sacked repeatedly. The Chronicle obtained one such image, the result of a one-sided battle at the Marshal’s gates. This was but one example of the bloodshed. The forces of Anarchy rode through the streets, setting ablaze to buildings as they passed, cutting down those who stood their ground and plundered whatever resources they could carry. Not only did the troops ride forth, but great pyromancers weaved their magic, hurling fireballs across vast distances, lighting the sky for all and burning their victims to ashes. The war was quick and swift. The Lord King commanders told their troops and citizens to bunker down in their catacombs, lay down their arms and hope that the storm passed.